Steam veggies according to package directions until tender crisp, drain well. In a large saute pan drizzled with olive oil over medium high heat , sear chicken pieces until slightly golden, about 5 minutes. Add mushrooms and cook an additional 3 minutes. Add butter and sprinkle in flour. Cook together until chicken is coated with flour paste, about 2 minutes. Remove from heat and whisk in milk and stock. Reduce heat to medium and cook until thickened. Add Parmesan cheese and Alfredo sauce. Transfer to greased baking vessel, about 11x2, and spread evenly. In another pan, melt butter over medium high heat and drizzle in a little olive oil. Fry bread crumbs in pan until fragrant, about 2 minutes. Spread atop casserole and cover tightly with foil. Bake for about 20 minutes or until casserole is bubbly and golden around edges. Shepard's Pie, traditionally minced beef with veggies ,baked with a mashed potato topping, is a popular dish hailing from Great Britain and likewise, here in America. 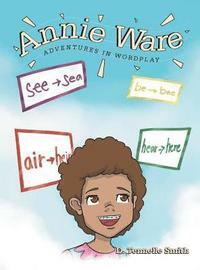 I first tried this on a trip to England with my advanced and high school Science teacher , Shirley Cothran. We spent 2 weeks traveling and touring the country and it's adorable little towns, Westminster Abbey, Shakespeare and Anne Hathaway''s home, where we sat and swung in a cozy wooden swing, in it's beautiful garden, Windsor Castle, the Tower of London, where we experienced some of the Medieval torture devices, Jack the Ripper's Ghost Walk, tracing the steps of the infamous forerunner for serial killers, to the unforgettable Madame Tussauds Wax Museum in London, which was absolutely amazing. 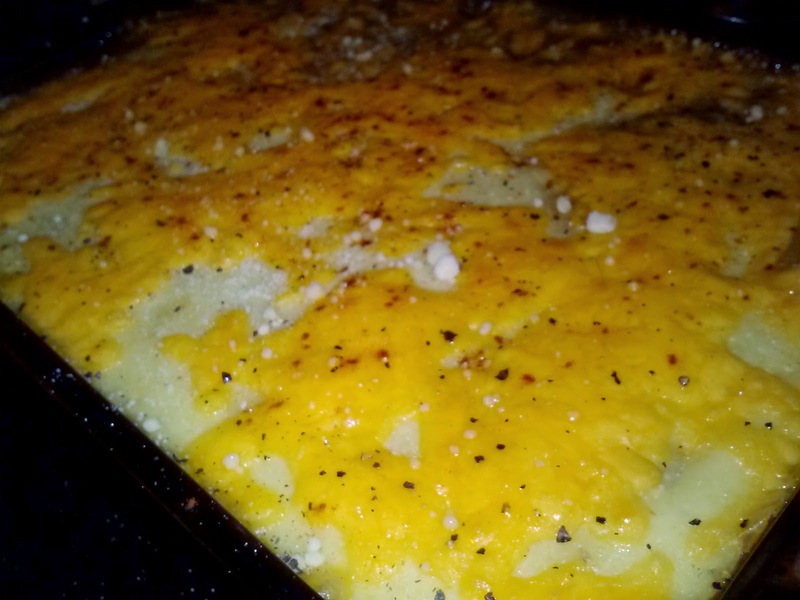 The idea for this version of Shepard's Pie came about by happenstance. I had prepared a birthday dinner the night prior for my nephew Justin, featuring two of his favorite foods, ribs and homemade mashed potatoes.There were some potatoes leftover, though not enough for reasonable side portions, and the wheels began to turn. I had approximately one pound of ground beef on hand as well as this huge boneless skinless chicken breast weighing about 3/4 lb., which I cut into bite sized pieces. I knew that singularly, one of the proteins would not accommodate dinner, but together, they could provide for a substantial and filling dish. 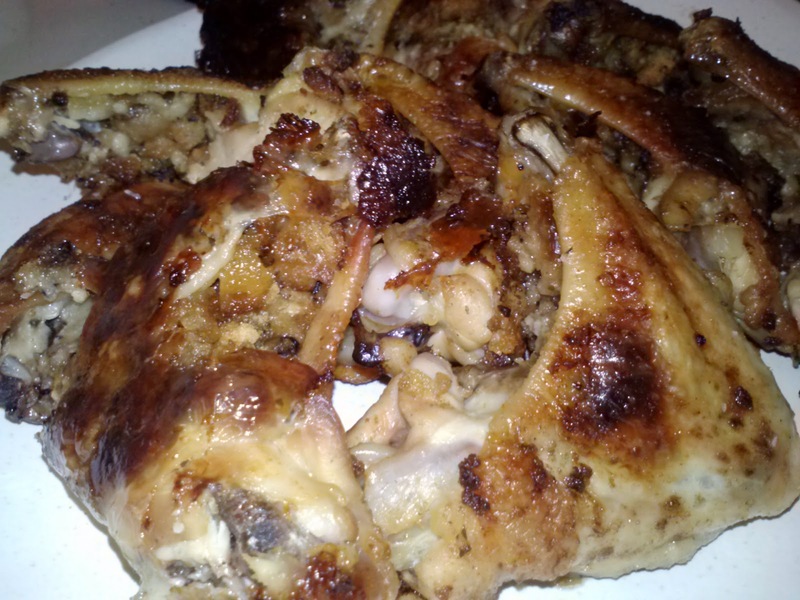 The recipe was a big hit and the name is derived from the marrying of the chicken to the beef in taste-bud matrimony, in a romantic one dish meal. 2 small carrots, sliced, about 1/2 c.
In a large saute pan over medium high heat, brown ground beef and remove with a slotted spoon. In the same rendered fat, brown the chicken pieces in batches, adding it to the vessel with the beef . After all the chicken has been browned, pour excess fat from pan and re-add meats. Add garlic, onion soup mix , stock and corn starch and bring up to a boil. Remove from heat and stir in all vegetables, except mashed potatoes. Pour into an oven safe vessel at least 2 inches deep. In a separate bowl, combine potatoes, evaporated milk, Parmesan and eggs. Blend well. Pour and spread potato mixture over meat filling and cover tightly with foil. Bake until potatoes have set, about 30 minutes, and toothpick inserted comes out clean of potato topping. Remove foil and sprinkle with Cheddar and turn oven to broil. Broil until cheese melts and top browns slightly. Garnish with Fresh cracked pepper, Parmesan, olive oil and fresh chopped parsley if desired. Let stand for about 10 minutes before serving. Serves 8-10. 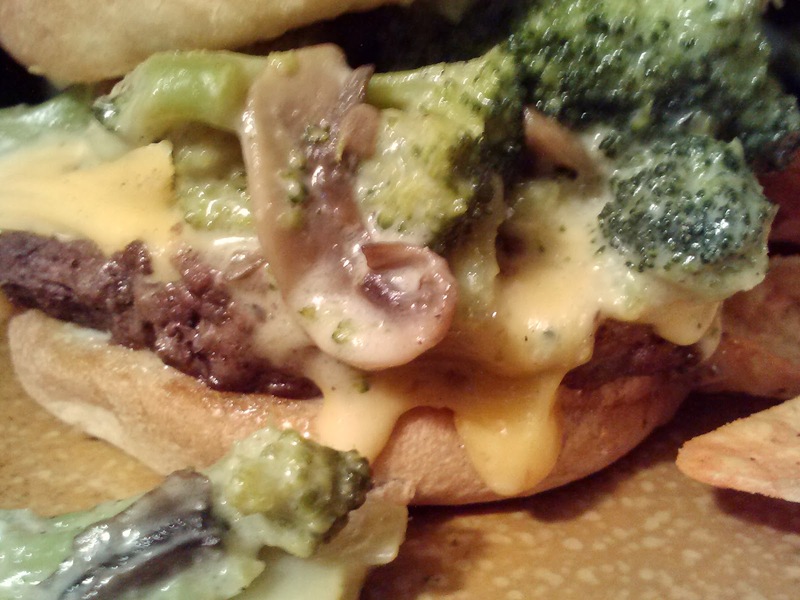 What better way to throw some veggies into your family's diet, than pairing it with a 1/3 pound Angus beef patty and smothering them with broccoli and sauteed mushrooms, swimming in cheese sauce? Of course this burger isn't your everyday fare, but the menu and meal that day will be unforgettable and can reasonably fit into just about any hectic schedule. The mushrooms are fresh and the cheese sauce is homemade, so you can definitely feel better about it and is may be prepared with 2 % milk, plus reduced fat Cheddar cheese! Serve as is for a meal or with Doritos, fruit or salad for a hearty and fantastic burger without sacrificing too many calories or your integrity. Additionally, you can substitute the beef for an extra lean beef, lean chicken or turkey burger to further shave down on fat and calories. Whole grain buns will work well too and add a jolt of fiber and other essential vitamins and minerals like potassium, thiamin and phosphorus. Just remember to add a little olive oil to the leaner ground to help retain moisture and maximum flavor! What the heck, try them all especially for your next cookout and WOW your crew with these wonderful flavor profiles! Enjoy. In a large saucepan, melt butter and add olive oil over medium high heat. Add mushrooms and cook for several minutes until they show signs of browning. Sprinkle in flour and cook for an additional minute. Reduce heat to medium and place pan back over heat. Cook until milk starts to thicken and stir in cheese. Continue to cook until cheese is melted and smooth. Fold in broccoli that has been drained thoroughly. SPST. Assemble cooked patties on bun slathered with mayo if desired and add cheese. 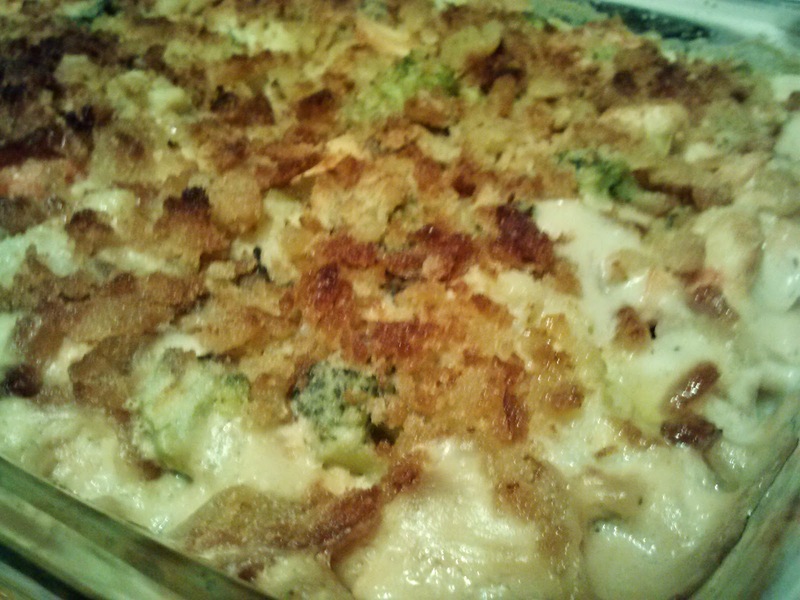 Smother with about 1/4 c. broccoli and cheese sauce and serve with desired side or sides.